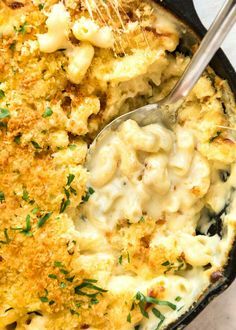 The ultimate classic Baked Mac and Cheese, with an insane cheesy sauce and topped with an irresistible golden, buttery breadcrumb topping. Prepare yourself for the heart-stopping moment in the recipe video when I pull this bubbling beauty out of the oven…..and the stretchy cheese shot! An epic, classic Baked Mac and Cheese! Perfect in every way, this has a glorious cheesy sauce, and a beautiful crunchy, buttery topping. 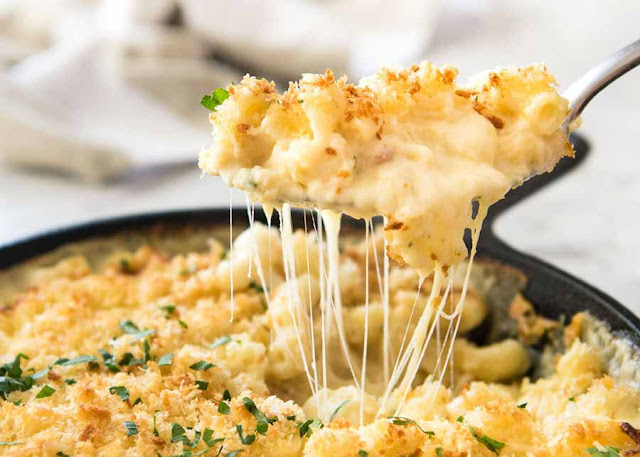 A great one for serving at gatherings because it won't dry out and go stodgy because of the extra step of tossing the macaroni in butter (stops it from bloating) and because it's extra saucy out of the oven. 0 Response to "BAKED MAC AND CHEESE"